Summertime and sunshine go hand in hand, but indulge in too much of the latter and you’ll be left with a nasty sunburn. While shade and clothing are your best bets when it comes to protecting your skin from the sun’s harmful UV rays, a good sunscreen should also be part of your sun safety tool kit. But staring down a sea of sunscreen options at your local drugstore can be daunting. As you might guess, not all sunscreens are created equal. Some sunscreens include hormone disrupters and allergenic ingredients, while others may be lacking in the UV filtering department. Before tossing just any sunscreen into your beach bag, be sure to read up on the latest sunscreen rankings from the Environmental Working Group (EWG). In its 2017 Guide to Sunscreens, the EWG names eight products that offer consumers the biggest bang for their buck. Some sunscreens may offer ineffective sun protection while others harbor chemicals that consumers may not want to slather on their skin. 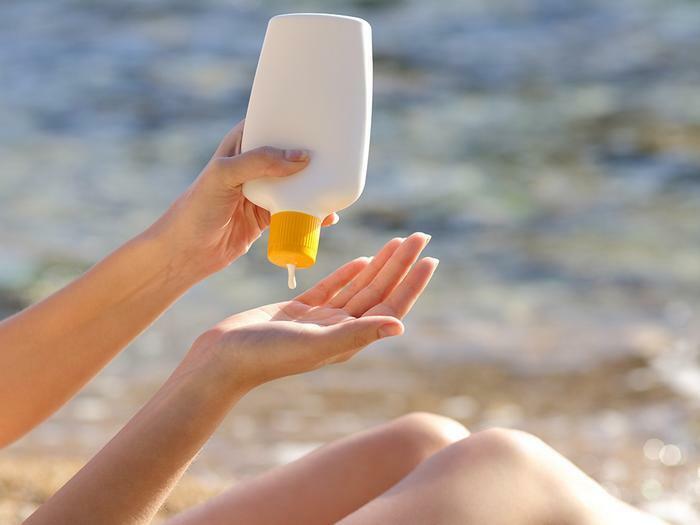 Here are a few ingredients and types of sunscreens to steer clear of, according to the EWG.